Hello fellow members of this wonderful community. Today we shall once again dive into the MS Windows CMD to explore some of its commands which can help us troubleshoot/manage networking configuration of our computer. First and arguably the most important command on our list is ipconfig (Internet Protocol configuration) command. 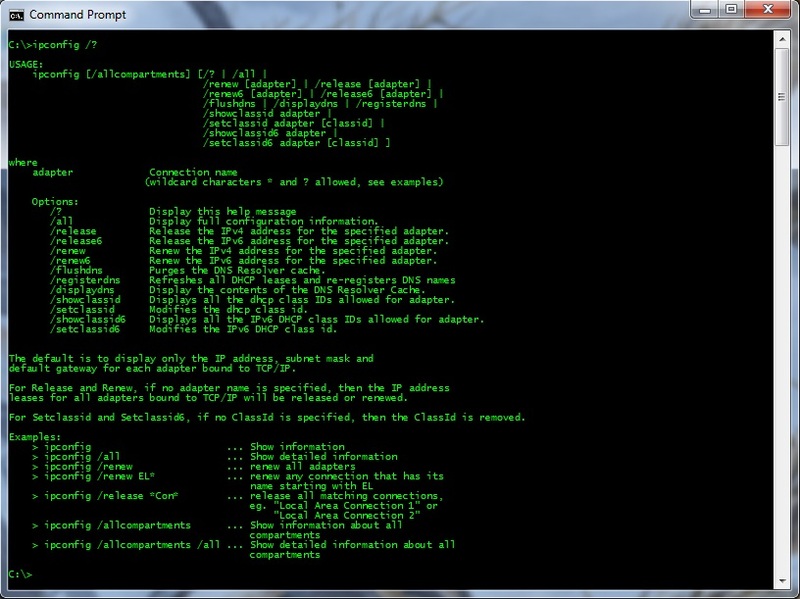 So let’s open our CMD window and enter ipconfig /? command to see the help for this command. As we can see from Figure 1. one of the switches for this command is /all which gives us the full configuration for all of our NIC (Network Interface Card) adapters. If we type ipconfig /all we can see the sample command output in Figure 2. From Figure 2. we can conclude that there are two physical NIC adapters installed on my computer; one is my wireless NIC and the other on is my Ethernet NIC adapter. 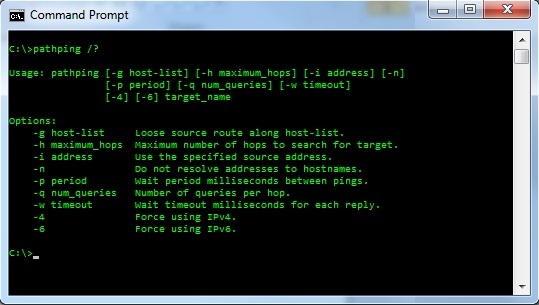 If your network is acting strange (for example you can’t access shared resources on other computers inside your LAN) you can use the combination of ipconfig /release and ipconfig /renew commands to release your NIC configuration and then try to get the new configuration from your DHCP server (which is configured on your SOHO router). 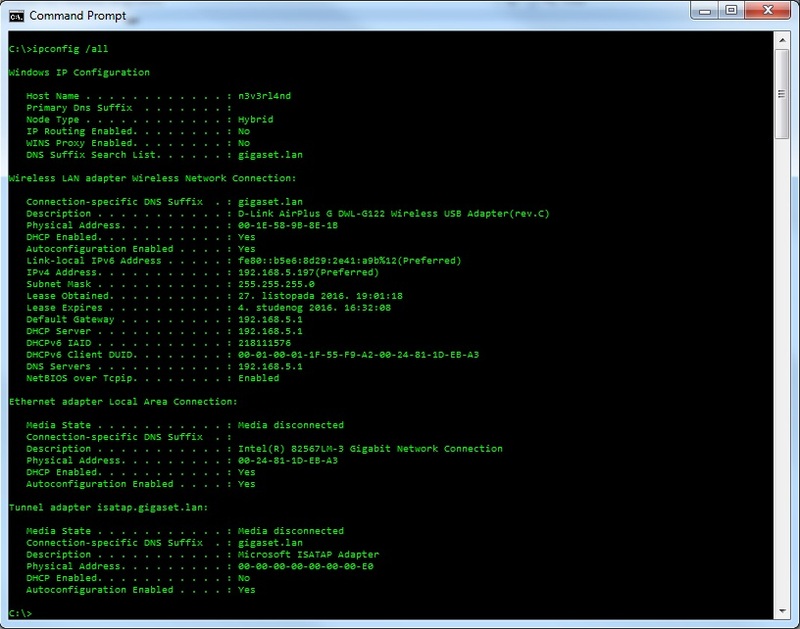 Another useful switch for ipconfig command is /displaydns which is used to display contents of the DNS Resolver Cache on our computer. The fields in the output of /displaydns correspond to the fields of an actual DNS reply message. We can see help for this command in figure 4. If you take a look back at Figure 1. you can see that there are few more switches available for ipconfig command. However the ones that we’ve described so far are the ones that you will be using most of the time. 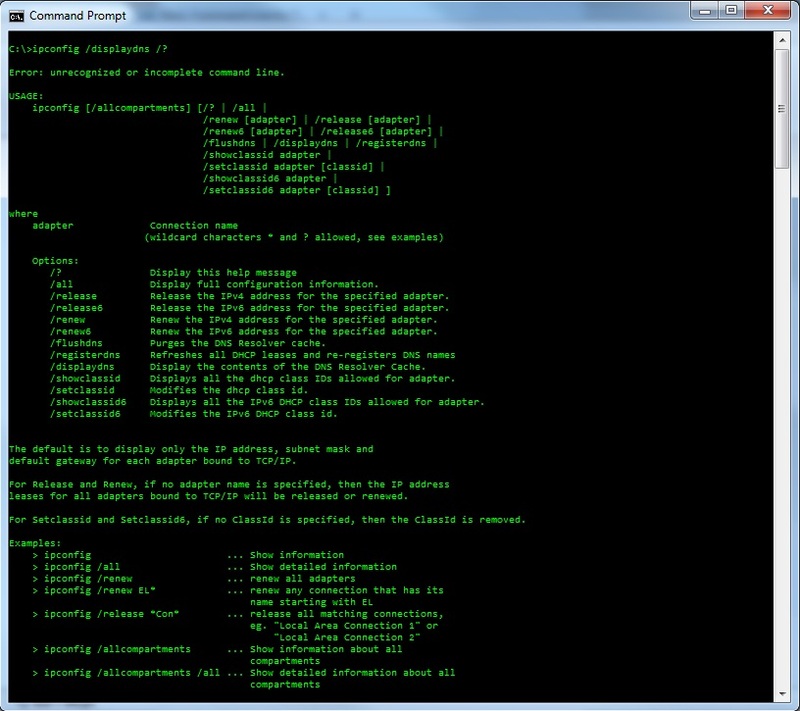 Next useful command is arp command which is used to display and modify content of ARP table. As you may already now, ARP (Address Resolution Protocol) is used to map IP address (Layer 3) to MAC address (Layer 2). List of available switches can be seen in Figure 5. Via switch –a we can easily see the content of our ARP table, as shown in figure 6. Last command that we will examine today is tracert command which is used to determine the path a packet of information takes from our computer to one we specify. Figure 7. demonstrates the use of tracert command to determine the path to on of Google servers (IP addresses are ommited for obvious reasons). A complement to tracert command is pathping command which is used to provide information about the path data takes to its intended destination, as well as information about network latency and network loss at intermediate hops between a source and destination. 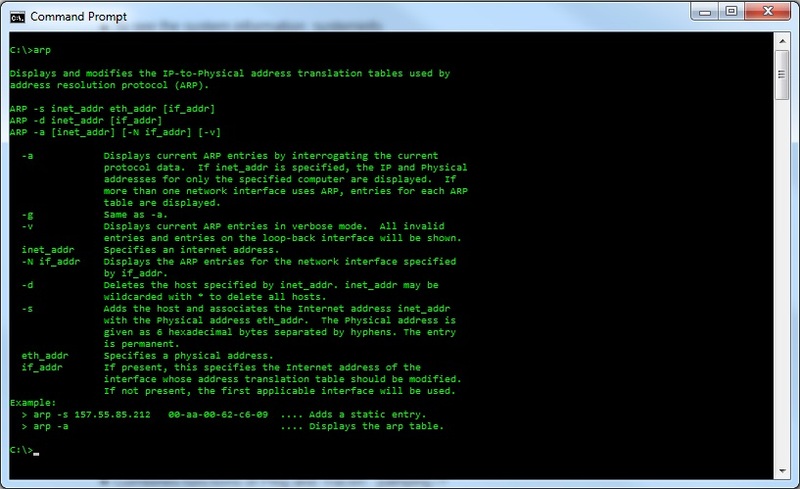 This concludes our journey through MS Windows CMD commands for networkers. Hope you enjoy it and find it useful.